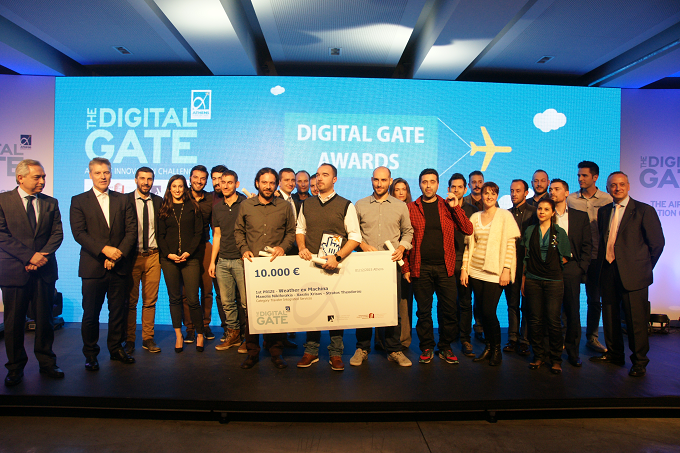 Weather Ex Machina is the 1st prize winner project for “The Digital Gate” Athens International Airport competition, which combines air pollution/weather monitoring with improved forecast for agriculture and other professionals near the area of the airport. Our proposed solution for weather / air pollution monitoring is complimentary to the existing infrastructure of the AIA, it constitutes of portable equipment which enables the respective department to perform low cost, easy to deploy environmental measurements in various locations within and outside of the airport. Our approach is based in using modern, cost-efficient, open-hardware equipment, low power stand alone (solar) transmiting environmental readings over LoRA LPWAN technology. The data enable AIA to extract information and knowledge about weather conditions, air, noise pollution levels and at the same time will enable Weather ex Machina to provide added value meta-weather forecast services to the area’s farmers and other professionals. This synergy can be promoted by AIA as CSR towards the local community.